The Innevation Center is a one-of-a-kind public/private conference, collaboration & coworking environment created by Switch. The mission is to boost and diversify Nevada’s economy. Below is top news that happened for The Innevation Center during the week of October 20, 2014. Join the local Meteor.js Meetup group on Thursday, November 6, 2014 at 6:00 pm to celebrate Worldwide Meteor.js Day. 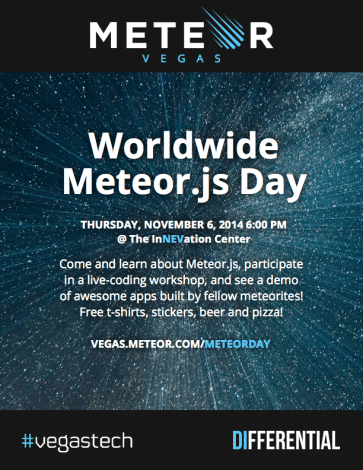 The Meteor.js community is holding simultaneous meetups around the world on November 6th, open to anyone who is interested in learning more about the Meteor platform.